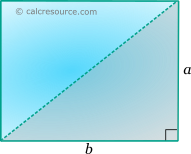 This tool calculates the basic geometric properties of a rectangle. Enter below the shape dimensions. The calculated results will have the same units as your input. Please use consistent units for any input. where a, b the lengths of the sides. 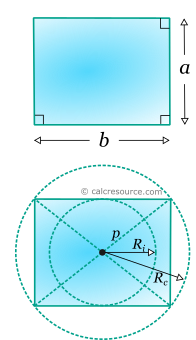 where p the diagonal length.